It’s not just you… Google really does hate some websites. It wasn’t always like this though. Google used to love all websites. But over the years it’s lifted it’s standards and it likes to only rank what it thinks are the best websites. Why? Because Google prides itself on delivering the best answers to your questions. It doesn’t want you sneaking off to Bing! So how did this happen, what did you to do upset Google? Did you sign up with one of those “1st Page Guaranteed” or “pay nothing” SEO agencies. Did you hire an agency who just ‘stumbled’ upon your website to give you free keyword analysis? Or – my personal favourite – did you fall for the unsolicited mail telling you that your site is not even listed. There are lots of reasons, but let’s take it one at a time. There is no reputable SEO company or inbound marketing agency on this planet that can guarantee you anything at all on Google. Why can’t they guarantee it? It’s simple – they don’t control Google. How can you guarantee something you ultimately have no control over? 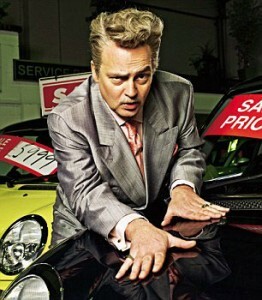 The only people who can make you a guarantee is Google themselves, and they’re more interested in getting you to spend advertising dollars with them. No single person knows all of the factors that make up the Google algorithm. It’s a closely guarded secret. And do you really think a company that has contacted you out of the blue or paid for a radio ad knows that secret? So you stuff the keywords section of your metadata with Awesome Red Sneakers, Best Awesome Red Sneakers, Comfy and Awesome Red Sneakers, Nice Awesome Red Sneakers, etc., and expect it to shoot to the top of the search engines to sell your, no doubt, lovely and Awesome Red Sneakers. Ha ha! I know what will stump the Googlebot (that’s what is crawling all over your site). I’ll say the words ‘Fluffy Kitten Slippers’ 1,000 times and then, ha!, I’ll make the text white on a white background. Genius. So what do you do? You’re too busy running your business to devote 10,000+ hours of your life to becoming an SEO expert. Here are some quick wins anyone can do. 1. Are you actually listed? Make sure your site is actually listed on Google. You can do this by typing the following into google: site:yourdomainname.com.au so for us that would be site:searchjam.com.au. Google will then give you all of the pages indexed on your site. Or you can just google the name of your business and you should appear on the 1st page. Advanced tip: Doing a “site:” search in Google can help you find other big holes in your SEO. For example, if Google is indexing a lot more pages than you have in your .xml site map, you might be channelling link authority to junk pages such as author archives and media attachments. If you’re using WordPress, you can tell Google to ignore these pages in Yoast’s free SEO plugin. 2. What are the keywords you want to be found for? Are these keywords mentioned anywhere on your site? If not, it’s a good idea to put them there. But don’t keyword stuff!! Just put them naturally in the text on the site and then in the page title and URL if possible. 3. Do you have a Google business page? 4. Is your social media up to date? Even if you never plan on using Facebook, just having a profile there (and on as many other social media platforms as you can) is helpful for SEO. But never, ever think that a facebook.com/YourBusinessName is a substitute for your own website. But it’s facebook, they’ll be around forever! (cough cough … Myspace). Would you pay to build a house on someone else land? 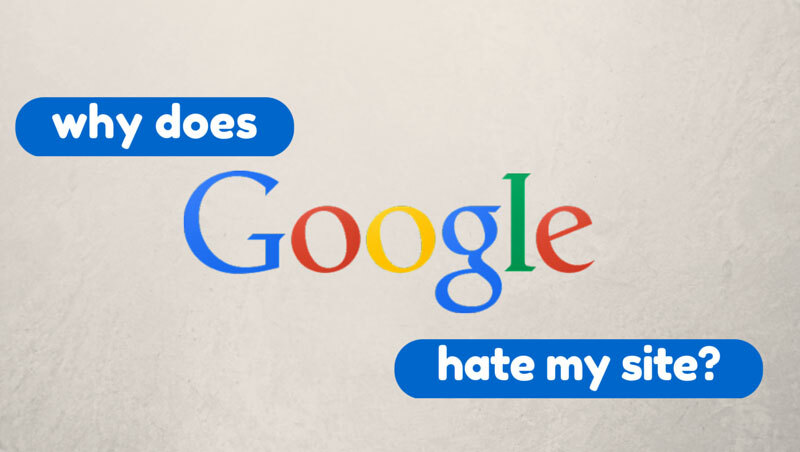 Even if Google does hate your site, there’s a lot you can do to rekindle the relationship. Follow some of the steps listed above and you might just find Google falling in love with your site once again!